Sales VPs for years have been test-driving SaaS-based CRM systems, piloting them with sales teams to see if using them leads to higher sales and greater customer retention. Marketing VPs and Chief Marketing Officers (CMOs) also continue to pilot SaaS-based web analytics and marketing automation applications. What’s been missing from these pilots is the ability to bring CRM, marketing automation, sales management and web analytics systems into existing enterprise IT architectures just as fast. This is changing quickly. 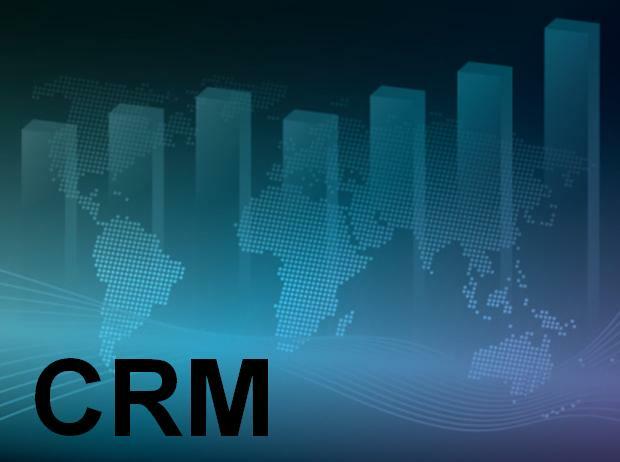 CRM vendors have been quick to respond to the challenge, offering Application Programmer Interfaces (APIs), integration adapters, connectors and from larger vendors, integrated bus architectures. CRM’s real value is in unifying an entire enterprise based on its ability to sell, serve and retain customers better than before. Gartner shows this is a high priority for its CRM clients by underscoring which technology and application areas of the hype cycle are responding to his market dynamic, and which aren’t. Gartner estimates 35% of all CRM implementations today use SaaS, growing to over 50% by 2020 according to their projections. In 2011, more than $5 billion was invested in sales applications. Cloud adoption varies significantly across CRM software categories with Web analytics achieving 95% adoption, Sales Force Automation achieving just over 50%, and Configure Price Quote (CPQ) achieving 40%. Cloud-based Sales Performance Management has the highest compound annual growth rate (CAGR) of any CRM category according to inquiry and client calls. Sales, Customer Service, Social CRM and Marketing are the four fastest-growing areas of enterprise Sales applications on SaaS. Campaign Management is increasingly quickly, up from 19% using SaaS in 2010 to 29% in 2011. Gartner sees significant growth in Configure Price Quote (CPQ), projecting a market of $300M in 2012, up from $240M in 2011. Gartner is due out with a MarketScope on CPQ shortly, where the 15 major vendors it tracks in this area will be ranked. 40% of existing implementations are on SaaS, and that proportion is increasing relative to licensed versions. 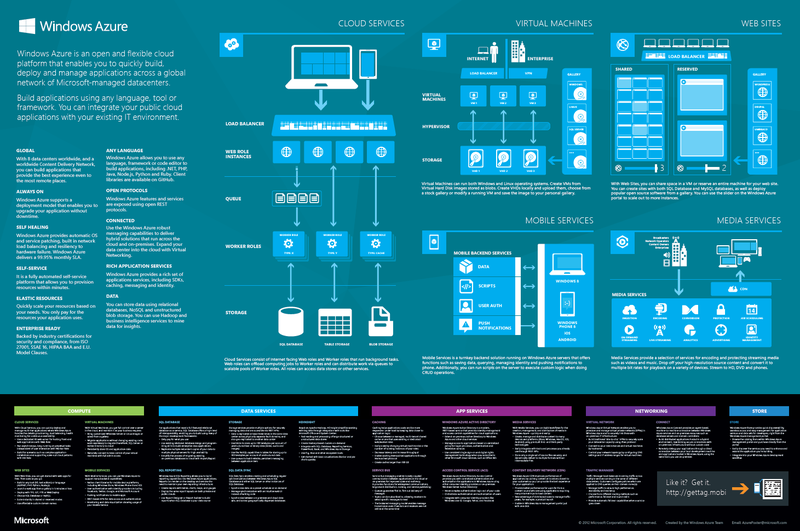 Of the 15 vendors in this market, 12 have announced SaaS-based versions of their applications. There are 3.8M Sales Force Automation SaaS users globally today. By 2017, 25% of companies adopting CRM will have extended their customer service contact centers to include social media including Facebook, Twitter and other emerging online communities. As of 2012, Gartner is seeing only 1% of companies integrate social media into their companies’ departments and workflows to ensure a consistent customer experience. Price Optimization will experience transformational growth in two to five years. 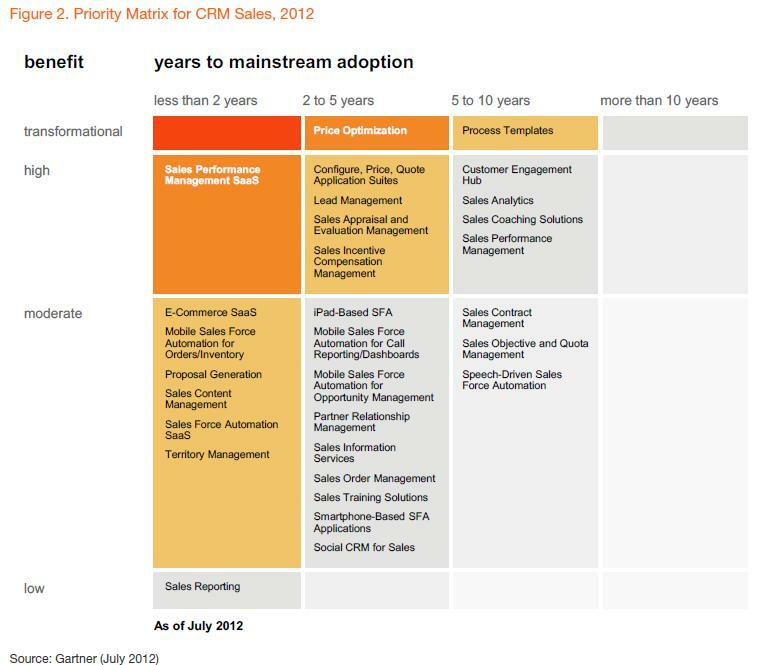 Gartner sees this area as one of the most promising across all CRM Sales as can be seen in the Priority Matrix for CRM Sales 2012 below from the Hype Cycle for CRM Sales, 2012. 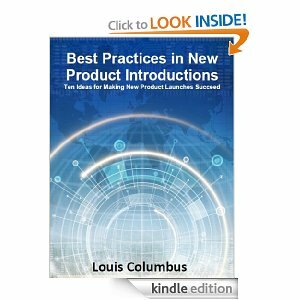 The research firm has defined this market as including price analysis, price optimization and price execution. 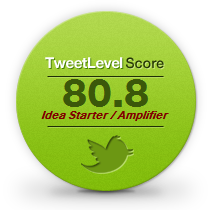 Gartner estimates this market was $180M to $190M in 2010. Vendor competing in this market include Accenture, Deloitte, Pros, Vendavo, Vistaar Technologies and Zilliant. Social CRM (SCRM) for Sales is at the Peak of Inflated Expectations, with 90% of spending for these applications being generated from B2C companies. Gartner expects B2B companies to lead the growth of these applications through 2015, increasing spending from 5% of total SCRM sales in 2011 to 30% by 2015. 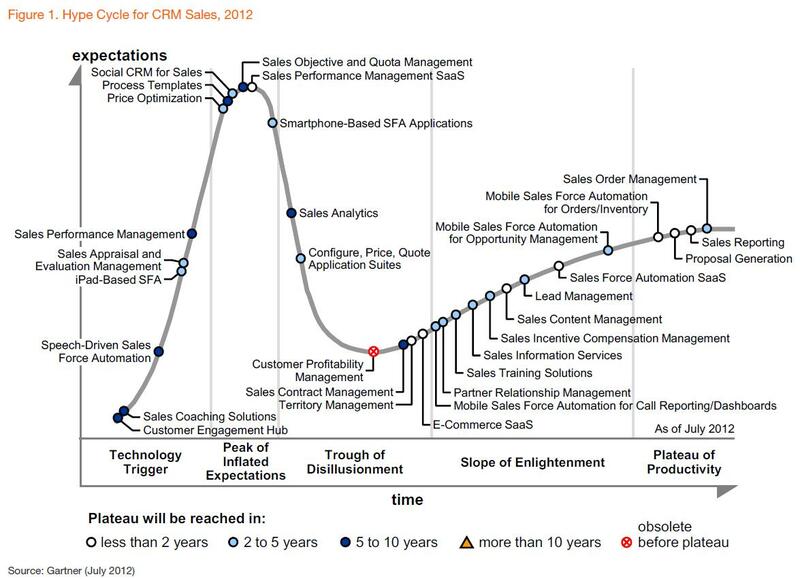 SaaS-based CRM sales within enterprises are expected to reach $4.48B in 2012, growing to $6.3B in 2015. The following table from the report Forecast: Software as a Service, Worldwide 2010-2015, 2H11 Update provides a frame of reference for SaaS-based CRM growth overall. Salesforce leads all CRM vendors in market share growth, advancing 2.8% from 2010 to 2011 according to Gartner’s’ global market share analysis shown below. Salesforce attained 26.9% revenue growth from 2010 to 2011 ($1.3B to $1.6B) and 36.7% growth from 2011 to 2012 ($1.6B to $2.27B). The future momentum of Salesforce is in unifying the enterprise, redefining corporate IT in the context of the customer. Their recent acquisitions show analytics, marketing automation and development platforms are key priorities. 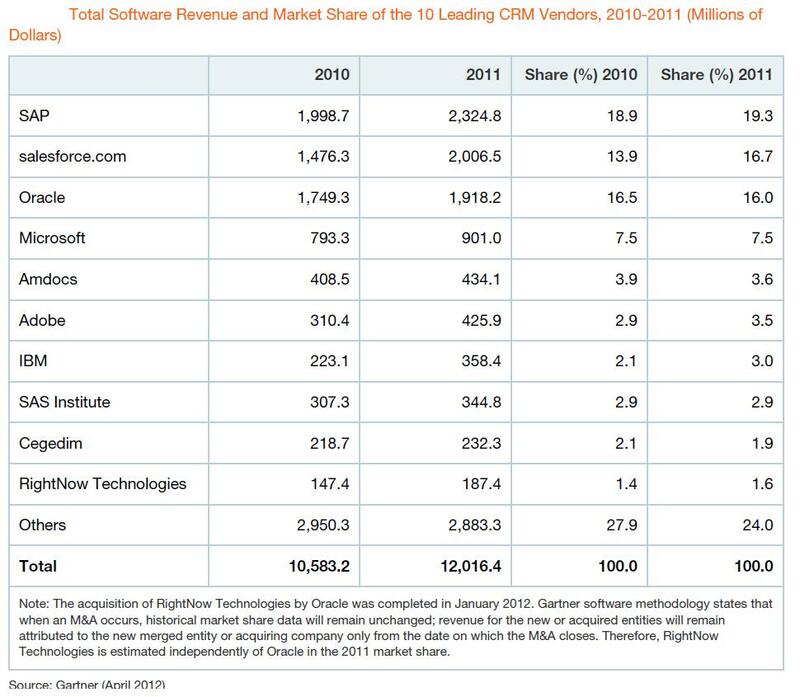 The following table is from the report Market Share Snapshot: CRM Software, 2011 (G00233998). Bottom line: Making CRM strategies successful has to start with a common vision and urgency for results. Both are happening quicker in CRM than ever before, driven by a much clearer understanding of what enterprises need and an impatience for results.